RULES and GUIDELINES + FAQs added! 1. Players can partcipate on ONE team per divison. 2. Teams must complete the entire SUPER 2 season in order to claim the money back per leg win. *Unique rules by operators must be pre-approved by DARTSLIVE USA in order to be enforced. 1. Players must play at least 30 legs of the league to qualify for the regional final. 2. Each team member who played 30 legs (exclusively for one team)‚ shall be eligible to play in the region final only on the team where the 30 legs are registered ONLY. *Substitutes who are not committed to one team cannot form a new team at the regional final. 1. Ratings of a substitute must be equal to or less than the player they are substituting for. 2. Substitutes from other divisions are permissible so long as they meet the rating requirements and are not playing in the same division. 3. Substitutions from players in the same division is strictly prohibited. 4. Substitutes who did not play 30 qualifying legs on one team will not be allowed to form a new team for the regional final. 1. It is the responsibility of the players to contact their operator for scheduled matches. 2. In the event of a forfeit or double forfeit* and teams do not contact their operator‚ the results of the forfeit will stand. 3. The coin drop for a forfeit or double forfeit match will be deducted from each team’s pay back per leg winnings at the end of the season if not paid to the operator. No rescheduling will be made for matches that time out after (1) week of the original scheduled match date. 4. The winner of a forfeitted match will be awarded 9 points. The forfeited team will be awarded 0 points. *Double forfeit occurs when both teams do not play the scheduled match within (1) week of the schedule and the match times out. 1. To decide the throwing of the first game‚ please use the coin toss option on the board and cork to determine who will start the game. 2. For league play‚ the loser of the previous game will start the next game. 3. For singles games in the game format‚ (legs 4 and 5/legs 9 and 10) the higher rated player will throw the first leg and the lower rated player will throw the second leg. 1. When do I pay my league fee? Please insert the weekly league fees into the machine only after being prompted by the league system to insert the money into the board. Inserting money into the board before being prompted will not count toward the league fee. 2. How do I pay my Team Registration fee? Team Registration fee ($40) should be paid to the local operator before/on the first night of league play unless specified otherwise. 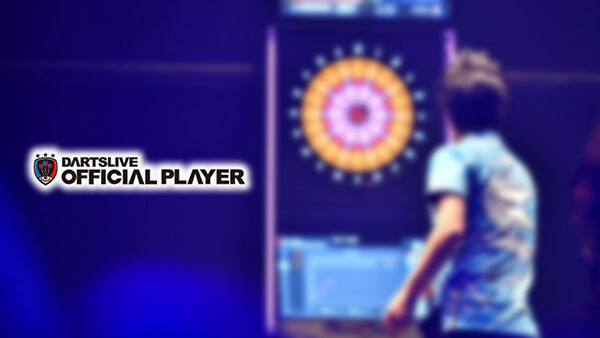 *The Team Registration fee is NOT to be inserted into the DARTSLIVE machine. 3. A team did not show up for their scheduled match‚ what should I do? Contact your local operator and report the issue. Matches scheduled on the league system remain active for 1 week. If the match is not played or rescheduled within that time‚ the match will be considered a forfeit. 4. A team forfeitted a match and did not pay their league fee‚ what should I do? Contact your local operator and report the issue. The league fees per week is mandatory for players regardless of whether or not the match was played. If the forfeitted team does not pay‚ the fee shall be deducted from their money back per leg win earnings. 5. I have 2 additional players rostered on my team‚ can they participate in the regional final? If the players rostered on a team have played enough qualifying legs during the league‚ those players can participate in the regional final ONLY on the team that the 30 qualifying legs were played on. The subs for that team cannot split off and create a new team for the regional final. *Substitutes cannot form new teams at the regional final regardless having qualfied legs played. However‚ substiutes who have enough qualifying legs can participate in side events. League Period: Will vary on each area’s local operator. Please contact them to find out the details of your League! Already a popular format in Southeast Asia‚ SUPER 2 is a doubles league hitting North America! 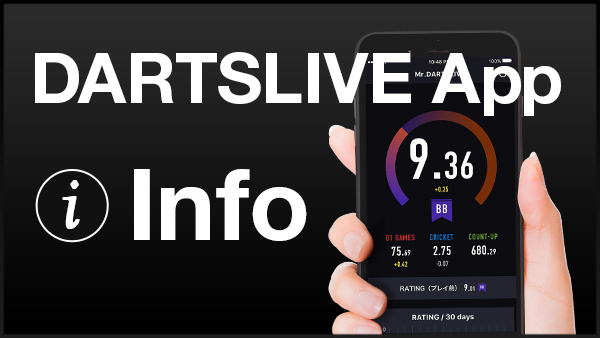 Utilizes DARTSLIVE OFFICIAL LEAGUE System! Players will earn money back with each leg win! Compete to be the best duo at your Regional Final! 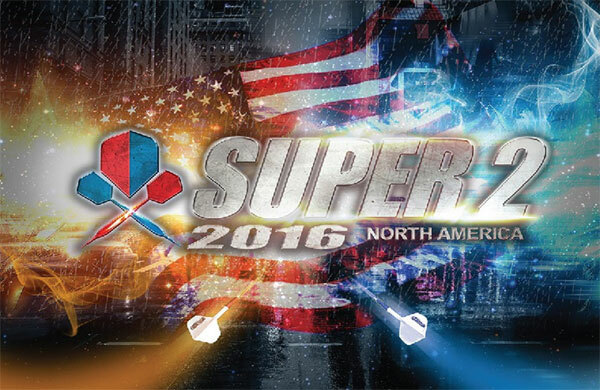 Sign-ups for SUPER 2 will open in June‚ 2016! If you’re not sure on how to join SUPER 2‚ here are some easy steps on how to join! 1. 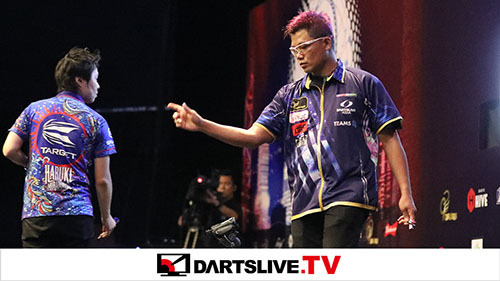 Find your local DARTSLIVE location and contact your local DARTSLIVE operator for signing up. 2. Build your team of 2 or more players to fit the division that best suits your team’s skill level. 3. When building your team‚ make sure everyone has a DARTSLIVE Card and a DARTSLIVE Rating. (5) game plays of each 01 and Cricket games are required to have a Rating. 4. Check the League website to make sure of your team’s match schedule once your division’s schedule is fixed. If you’re not sure where you can find your local DARTSLIVE operator‚ go to our shop search page to find out your closest DARTSLIVE location! ◆Sign up period: Sign up period begins June 1‚ 2016. Please contact your local operator to find out how to register! ◆League period: Start time will vary by operator. Please contact your local operator to find out when your league will start! *Region Final date will be set by the Director in each Region. **Time and dates leagues are subject to change without notice.